Cornware is the manufacturer of corn-based, eco-friendly, sustainable packaging and tableware. Cornware UK launched 2 years ago with a mission to sell high-quality, customizable, biodegradable tableware with a low-carbon footprint. Today they are selling in a range of high-profile outlets. They are doing a production run. They are making 1,450 cases of their lunch boxes and burger boxes. The cost is £37,000. You can fund their production here. Cornware are offering to repay in just 5 months plus 5.6% profit or 6.1% PRIME. That's an annual equivalent rate of up to 15.3%. You'll also become a Friend of the brand. Cornware successfully raised £37,700 to fund the production of 1,450 cases 290 days ago. Check back soon for more offers. Cornware UK was founded by business partners Adam Petyt and Rohit Belani in 2015. They were inspired by the example of Singapore. Adam lived as an expat in Singapore in 2014 managing an events and hospitality business. Rohit is Singaporean and founded an education and training business there. Together they saw how advanced the sustainability movement was and realised it would inevitably spread to other countries. This led to founding Cornware UK Ltd, a business dedicated to bringing corn starch-based, biodegradable, plastic-alternative packaging to UK tables, kitchens and eateries. 2018 was the year that the war on plastic packaging hit the mainstream in the UK. Cornware UK Ltd has been at the forefront of the boom. In the last 12 months the company achieved sales of approximately £300k and is forecasting sales of £1.2m in the next 12 months. New customers have been won including Silverstone Circuit. 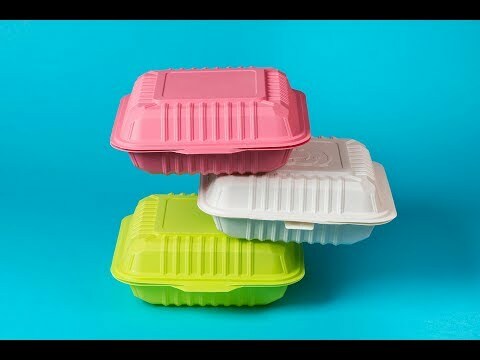 In response to this demand Cornware is manufacturing 1,450 cases of its popular lunch boxes and burger boxes. Lunch boxes can hold 1,000 ml and are packed 200 units per case. Burger boxes are packed 500 units per case. Each case costs approximately £26.00 to manufacture. 65% of this product has been pre-sold. The remaining 35% is expected to be sold 3-4 weeks after the stock arrives to repeat customers. Cornware are offering you the opportunity to fund this production. In return you can earn 5.6% profit for Standard investors or 6.1% PRIME in just 5 months. That's an annual equivalent rate of up to 15.3%. You'll also become a Friend of the brand.